I was called to the clients’ home because her beloved huge white ash was not looking healthy- lots of dead wood- and had been receiving a hammering from wood peckers. When I checked the tree, besides the woodpecker holes, I observed many exit holes in the bark that had been produced by boring insects. 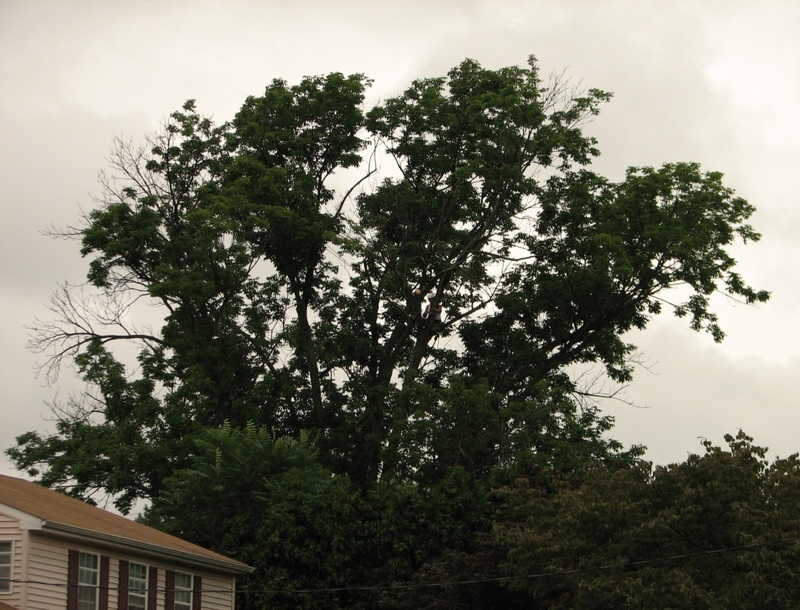 Some were the typical oval shape of the ash-lilac borer, but some had that dreaded “D” shape that could possibly indicate EMERALD ASH BORER. Sure looks similar to E.A.B! 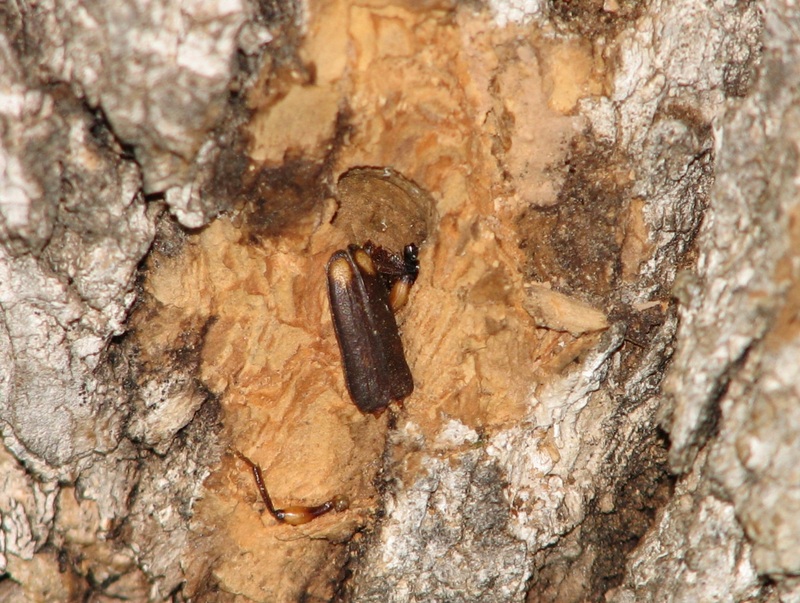 I looked closer, picking away at some of the dead bark and poking into the borer holes. Eventually I found, to my relief (and the tree owner, Anna’s! 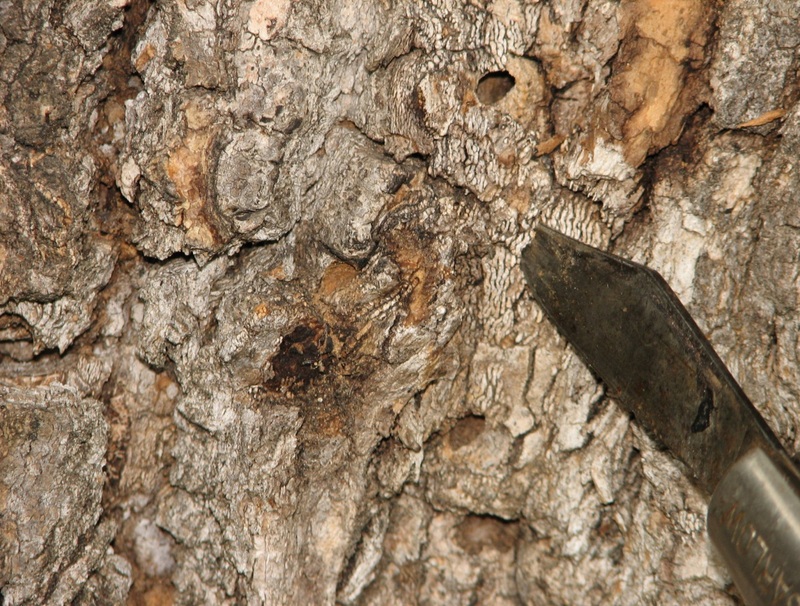 ), the wing cover of an adult ash- lilac borer in one of the “D” shaped holes. False Alarm!! Not EAB! 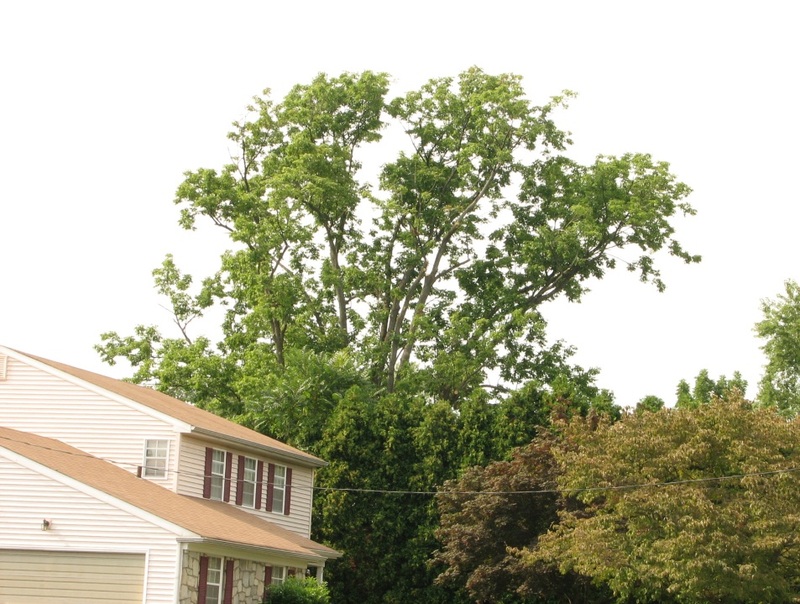 The client REALLY wanted to save the tree, but I didn’t want to waster her money on an expensive pruning job if it were doomed anyway because of Emerald Ash Borer. So my men climbed the tree and checked the dead branches, also, for signs of E.A.B. infestation. All clear. We went ahead with the pruning. The tree is not in the greatest health but it’s now a lot safer without all those dead branches above the driveway and patio. And it looks nicer too, don’t you think?